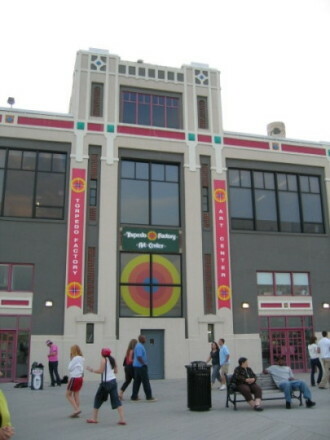 The Torpedo Factory Arts Center in Alexandria's Old Town was saved from the wrecker's ball as the dock area of Old Town was about to be destroyed by urban planners. Now, the saving of the�Torpedo Factory (the building was a WWl-era torpedo factory) is considered to have been one of the triggers for the preservation and rejuvenation of Alexandria. I get a kick out of those old factories that were built in monumental style. Temples�to manufacturing, industry, invention,�and the American work ethic.